If you enjoyed Meditations, you might like Seneca's Letters from a Stoic, also available in Penguin Classics. A series of spiritual exercises filled with wisdom, practical guidance, and profound understanding of human behavior, Marcus Aurelius's "Meditations remains one of the greatest works of spiritual and ethical reflection ever written. 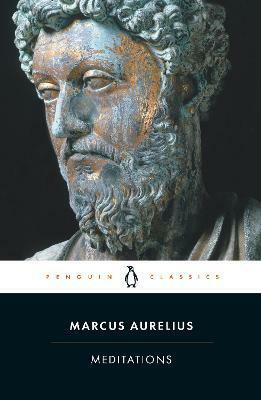 Marcus's insights and advice--on everything from living in the world to coping with adversity and interacting with others--have made the "Meditations required reading for statesmen and philosophers alike, while generations of ordinary readers have responded to the straightforward intimacy of his style. In Gregory Hays's new translation--the first in a generation--Marcus's thoughts speak with a new immediacy: never before have they been so directly and powerfully presented. Marcus Aelius Aurelius Antoninus, 121-180. was adopted by the emperor Antoninus Pius and succeeded him in 161, (as joint emperor with adoptive brother Lucius Verus). He ruled alone from 169. He spent much of his reign in putting down variou rebellions, and was a persecutor of Christians. His fame rest, above all, on his Meditations, a series of reflections, strongly influenced by Epictetus, which represent a Stoic outlook on life. He died in 180 and was succeed by his natural son, thus ending the period of the adoptive emperors. Diskin Clay is Professor of Classical Studies at Duke University and has published widely in the area of Ancient Greek Philosophy. Martin Hammond is Head Master of Tonbridge School and has translated Homer's Iliad for Penguin Classics.